Tom has over thirty years of experience in conservation and development. He has worked in the private sector, for government in both developed and developing countries, and for international non-governmental organizations. McShane is currently Senior Sustainability Scientist at the Julie Ann Wrigley Global Institute of Sustainability, Arizona State University, and adjunct faculty at their School of Sustainability. 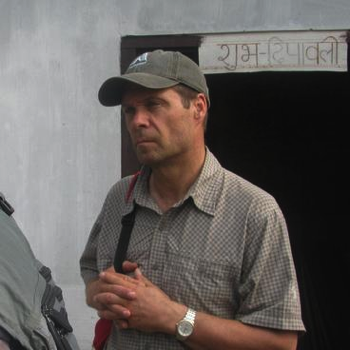 He is also a visiting lecturer at the Institute for Landscape Management at the University of Freiburg, Germany. He consults for NGOs, aid agencies and the private sector on social and environmental sustainability, program development and evaluation, and conservation and development issues. Most recently, Tom was Principal Investigator of the John T. and Catherine D. MacArthur Foundation-supported Advancing Conservation in a Social Context research initiative exploring the complex trade-offs that exist within conservation and between conservation and other social goals. From 1986 to 2005 he worked for the World Wildlife Fund (WWF International), first in the Africa and Madagascar Program and then as the organization’s Senior Conservation Advisor on conservation and development issues.